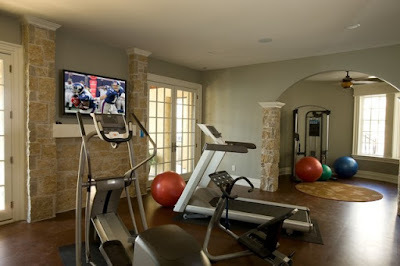 Working out in an ordinary room of your home can create a lot of challenges. You may find yourself constantly interrupted, especially if you have young children or playful pets. You may be distracted by reminders of work or housework that needs to be done, or tempted to slack by the sight of a comfortable sofa and TV. You may also find that it’s difficult to avoid breaking or colliding with things. If you can create a dedicated space in which to work out, you’ll find that your ability to stick to your routine and meet your goals improves significantly – so how should you go about it? The first thing you’ll need is a space in which you can feel motivated. Natural light helps, especially if you’re working out first thing in the morning, so strip away those bulky drapes and fix up some modern shutters that give you better control. You could paint your walls in bright colors that energize you. If you have a preference for yoga or tai chi, choose softer tones that calm you down. Set up a stereo system so that you can play music that helps you to focus and keep your rhythm. Though you won’t want too many visual distractions, it can be a good idea to put up some pictures or slogans on the walls that help you think about your goals. When you set up your training room, you’ll need to think carefully about how to make the best use of space, making sure you have enough room to use and move around machines. Ideally, you should also leave yourself a bit of free space where you can do floor exercises, work out on a bench, or use an exercise ball. Wall bars are an useful addition because they’re great for stretching your muscles and they don’t take up much room; you can also use them for hanging towels on. Some kinds of equipment, such as punch bags, can be suspended from the ceiling on pulleys and hauled up out of the way when not in use. Bear in mind that you’ll also need storage space for things such as dumbbells. If you’re using heavy equipment, make sure the floor is strong enough to support it. Use floor protectors or a sponge-based carpet to protect your floor from wear and tear. Ultimately, the most important thing about your training room is that it should be suited to your individual needs. Everybody approaches workouts slightly different, so there’s no one-size-fits-all template. Think through the way you approach yours to establish what else you might need – a crash mat, for instance, or a beanbag you can flop onto when you’re done. 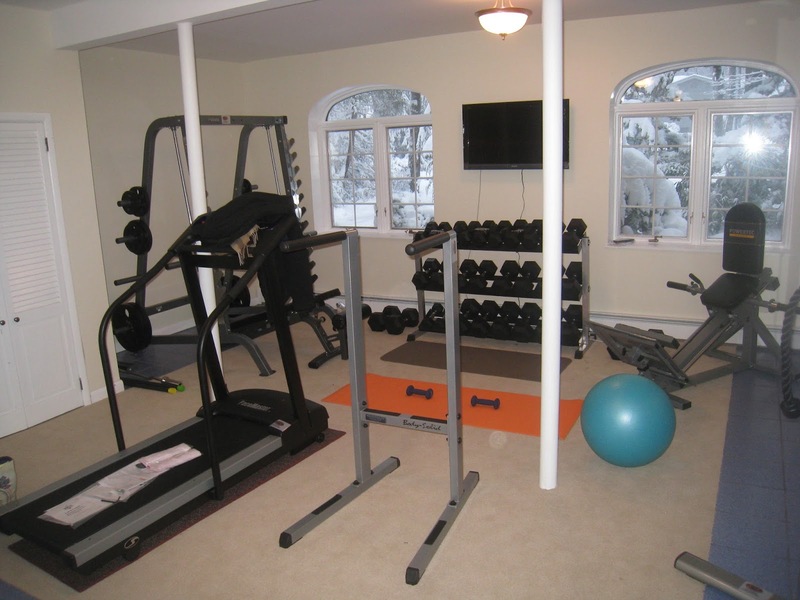 Once you have a dedicated training room, you can organize a practical routine for using it. If you’re excited about the efforts you’ve made to create it, the chances are that you’ll find yourself working out more, and it will make a great contribution to your ongoing training.